A burglary suspect is in jail after police found him barricaded inside a Fort Wayne home Friday, according to a news release. Police received a tip that Lovell Hamlet was hiding in a home in the 5000 block of Christopher Lane after a burglary at 5:20 p.m. Friday. The suspect refused to come out for several hours, the release said, and eventually police requested help from the emergency and crisis teams at 10:45 p.m.
A flash-bang grenade was deployed into the house and Hamlet surrendered about 12:30 a.m. Saturday, police said. Hamlet, 43, is charged with burglary, a level 4 felony, and invasion of privacy, a misdemeanor. 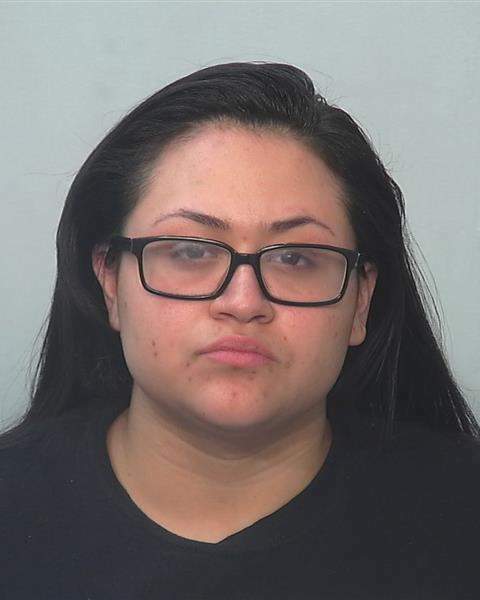 A 22-year-old woman was arrested and charged with four felonies after leading police on a chase and running a red light with an infant in the back seat. Alina Linda Cuautle, of the 200 block of Home Avenue, was pulled over about 3 p.m. Thursday because of an expired registration, according to court documents. She was also driving on a suspended driver's license and failed to provide proof of insurance, court documents said. When she was told her vehicle was going to be towed and to call for a ride, Cuautle sped off while the police officer was writing a citation. After a brief pursuit, Cuautle was confronted at her home, where she refused to get out of the car and fought with officers after being forcibly removed, documents said. The baby was handed over to the Department of Child Services. Cuautle was charged Friday with battery with bodily injury to a public safety officer, two counts of resisting law enforcement and neglect of a dependent, with two misdemeanor charges for resisting law enforcement and driving while suspended. She was being held in lieu of $18,250 bail. Workers at the Trine State Recreation Area in Steuben County discovered what they believed to be a human body Friday morning. State conservation officers and Indiana State Police were called to the scene east of Pokagon State Park just before 11 a.m., according to a news release. An unidentified male was found, but police do not know how long he had been there, the news release said. An autopsy is scheduled this morning to determine the cause and manner of death.